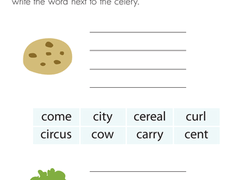 On this second grade reading worksheet, kids sort initial consonant sounds into two groups: hard "c" as in cookie, and soft "c" as in celery. 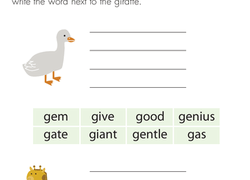 On this second grade reading worksheet, kids sort initial consonant sounds into two groups: hard "g" as in goose, and soft "g" as in giraffe. 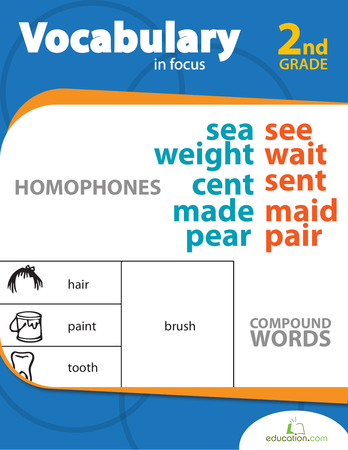 The letter G is one of those tricky consonants that can make different sounds (as in girl or gym). That can be confusing for young readers! 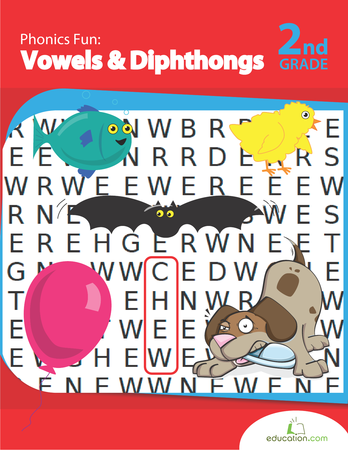 Help them sort out hard and soft consonant patterns with this helpful practice worksheet. 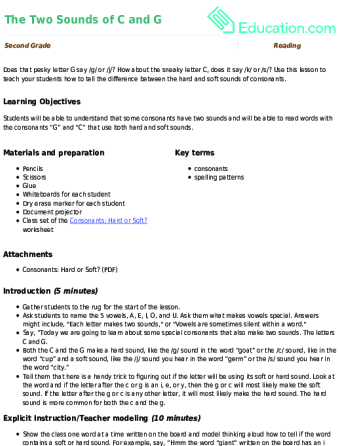 Do all words that start with 'g' sound the same? Let's find out! 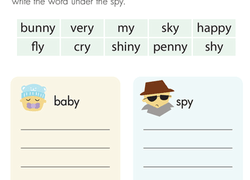 Students will sort six words by the hard or soft g sound. What's the difference between a coat and celery? The hard and soft c sounds!